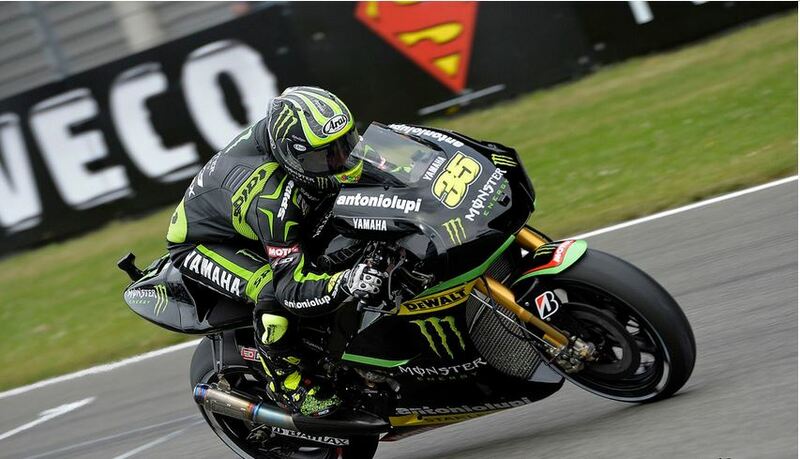 Crutchlow: "I think I had a chance to fight with Valentino"
Monster Yamaha Tech 3’s Cal Crutchlow returned to the podium at Assen today securing a third position in a hard fought battle for the podium following his debut pole position yesterday. The Coventry rider got a good start but was pushed out into fifth in the first corner, behind Valentino Rossi and three Honda’s. The 27 year old refused to sit back however and fought hard for fourth position with Jorge Lorenzo, which he seized on lap 15 of 26. The former World Supersport champion then began to hunt down Marc Marquez in second, and Crutchlow was close to passing him on the closing laps however Crutchlow came close to t-boning Marquez on the penultimate lap and as a result settled for third position, crossing the line 4.073s behind Rossi. British team-mate Bradley Smith secured another top ten finish in his debut MotoGP race at Assen, a track he has never won at in the at in the past, but has secured podium finishes in both the 125cc and Moto2 class. Still suffering from his montserous crash at Mugello which resulted in the 22 year old needing a skin graft on his finger. Starting on the second row along side race winner Valentino Rossi, Smith got a strong start and pushed to stay with the top six, however the Oxford rider struggled with the hard braking zones and slipped down to 11th position with his wrist injury. Not giving up Smith was involved in a hard fight with Nicky Hayden and Andrea Dovizioso, which Smith won and finished 9th. Next Next post: Sykes pole position "down to a good call by my crew chief"